If your clients have ever wanted to visit Club Med, now's the time as their buy one get one free deals are back. A minimum three-night stay is required and is applicable for select travel dates booked for July, August, September, October, November, December. - Punta Cana: Enjoy the Zen Oasis, an adults-only hideaway, while the kids explore the acrobatic adventures at the Cirque du Soleil-inspired CREACTIVE playground. Between the exquisite beaches, 5-Trident luxury space and countless sports and activities, everyone in the family can get the most out of their vacation. - Sandpiper Bay: State-of-the-art sports facilities with professional instructors, an in-resort golf course and the luxurious L’Occitane Spa; Sandpiper Bay resort is the go-to family destination for the ideal combination of relaxation, activity and adventure. - Ixtapa Pacific: With hacienda-style accommodations and year-round sunshine, families will enjoy the perfect summer getaway at this award-winning resort. Ixtapa offers gourmet dining options, unlimited land and water sports and day-to-night entertainment for all ages to enjoy. 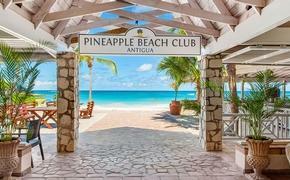 - Buccaneer’s Creek: This ultimate all-inclusive resort offers an impressive number of ways to enjoy a taste of paradise in the beautiful French West Indies. Relish in the ultra-relaxing spa treatments or newly renovated beach lounge or enjoy a leisurely stroll in the tranquil gardens. 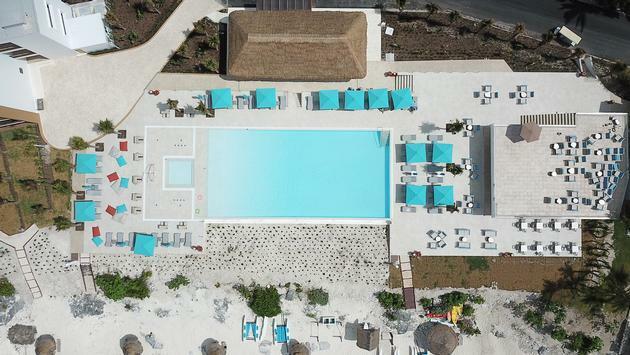 - Turkoise: Newly renovated, this adult-only destination is located on one of the best beaches in the world and features a redesigned pool and bar, renovated Deluxe rooms and more. - Cancun Yucatan: This fully equipped resort is surrounded by three stellar beaches and offers a huge range of both land and water sports. Offering excursions to Mayan ruins and the Mesoamerican Barrier Reef, this resort is a must for all adventurers. Not to mention the recent expansion to the family-centric Aguamarina concept.